We are pleased to announce that the WP User Integration add-on is now available for Event Espresso 4. 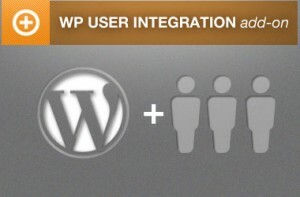 The “EE4 WP User Integration” add-on allows you to take full advantage of the WordPress user system. Create member only events and tickets, set the minimum WP User Capability for ticket purchase, create new WordPress users on registration, and more! Purchase the WP User Integration add-on for Event Espresso 4. You’ll be able to display member only tickets to your logged-in members; members can store personal information into the WordPress database allowing your members to quickly register for events by auto-filling in the personal information on the event registration form. With the WP User Integration add-on for Event Espresso 4, you can give your users a special incentive by offering member only events and tickets. You can also help streamline registration, create new users when someone registers, and ensure existing customers use their existing accounts to register so you data stays clean. Member Only Events – The “member only” events feature let’s you pick and choose what events are members only. Member only events still appear in your events list, but require login before allowing customers to register for the event. Member Only Tickets – Makes it easy to offer member only incentives on ticket purchases. Streamlined Registration for Members – Members on your site can store personal information into their profile page allowing your members to quickly register for events by auto-filling in the personal information on the event registration form. Create New Users Upon Registration – This feature makes it easy to create new members upon registration. User Traffic Cop – If a member is not logged, and tries to register for an event, they will be asked to login before proceeding. Basically, if the email entered already exists in the WP User database, the user is asked to log in before proceeding. How does this compare to the EE3 version? The EE4 WP User Integration add-on was built from the ground up, seamlessly integrated with Event Espresso 4 core code using existing hooks and filters (as of EE 4.6) in the ticket selector and registration templates. Whereas the EE3 version was built into the Event Espresso 3 template system, which made it very hard to keep updates from conflicting with customizations. Going forward, updates to the EE4 WP User Integration add-on will be seamless and not depend upon EE4 core code. This helps us to keep things updated and running more smoothly. Please Note: The “My Events” feature is not yet available. This means that registered members CANNOT cancel, pay for, or view events they’ve registered for in the past. This feature will be available in a later iteration. Which info will be linked to the profile of the users ? what about the extra questions (like date of birth…), can you see that info in their profile? Currently, only the personal and address information is captured, however, we are currently planning to create a feature that links custom questions to the user profiles. The description says that the add-on is included with Everything EE4 License. The question is what if I have valid Everything License PURCHASED before this add-on came out? Currently I do not see its download link inside my account. Hi Ivan, try logging out of your account and then logging back in. Can users update/manage their registration? For example, we are offering a VIP and Regular registration. Can they upgrade through their user account? The accounting system does not allow people to *change* their ticket. It’s best to present those options on the event details page. However, you can limit the types of tickets someone can see based on the capability requirement you add for that ticket(s). Do you have an idea of when the My Events feature will be available in EE4? Waiting on this feature to be able to use this product on client websites. We are working on Promotions and Multiple Event Registration for the next little while, but I will add your vote to ask that this be one of the enhancements to add sooner than maybe other features. Are you looking for this to be a front-end page, or part of the WP User Profile? What other things do you want to see on that page? I cannot believe there is no way for users to see what events they’ve registered for!! And this is NOT a priority? I would think Promotions and Multi Event Registrations would certainly be secondary to such core functionality. So just to be clear, you are saying there is no way for users to see what events they’ve registered for and you are not currently developing this? That’s correct. As of right now, there is no way for users to see what events they’ve registered for. We realize this is an important feature, but we didn’t have time to include it in the MVP (minimum viable product) release. All of the functions needed to build a “My Events Page” are available in the add-on, so it’s technically possible to add it, we just need more time plan and develop this particular feature. Thanks for the feedback. I hope all is well for you. The latest update adds the functionality you requested. Enjoy!